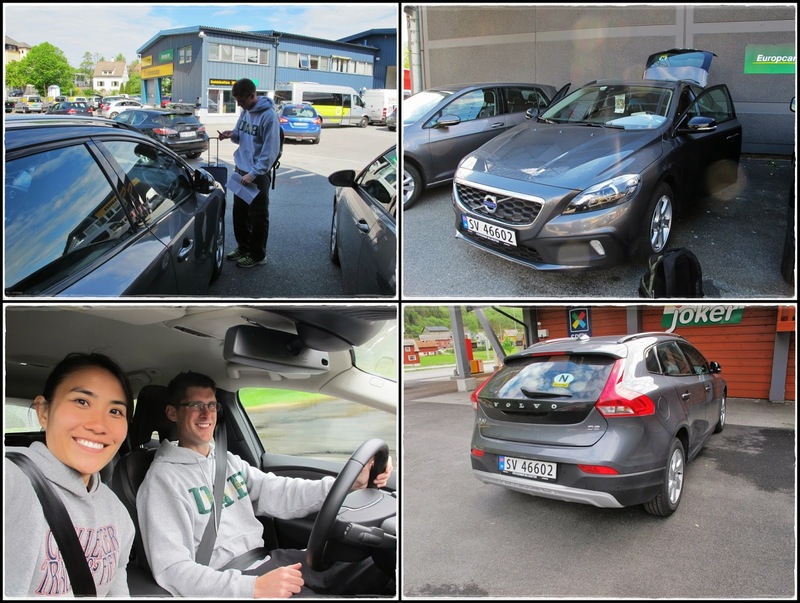 Picked up our Volvo V40 Cross Country from Hertz in Bergen without any hassle. We were supposed to get a VW Golf but I guess they were all taken. I don't know much about cars so I'm not sure if the Volvo was a better car or worse, I think it looks nicer though...haha! Anyway, the Volvo is manual and runs on diesel so I guess it's fuel efficient. 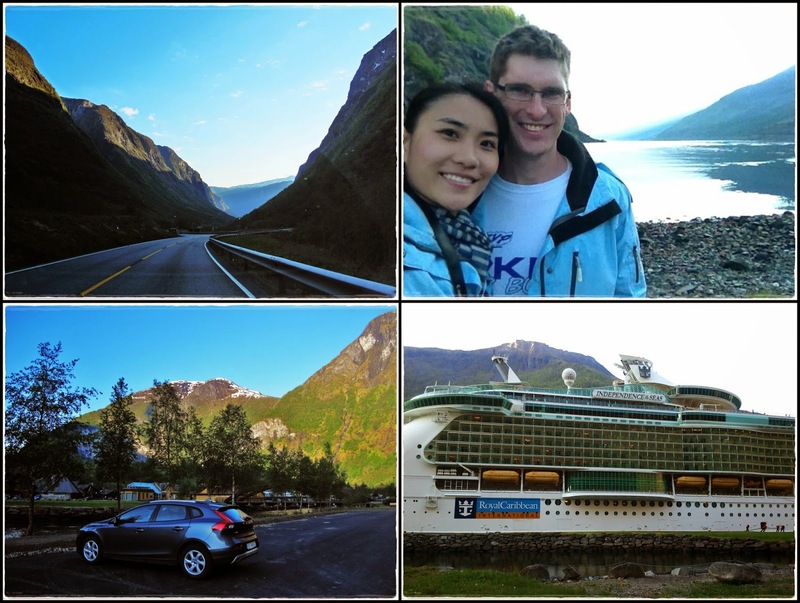 Hubby managed to get a 20% discount from his insurance company so our 7-days car rental costed NOK2246 (RM1230). We also saved on insurance coz it's already covered under hubby's car insurance. Norway has right hand driving so hubby had to be the driver for this entire trip...haha!! =P While I didn't need to drive, my job as a passenger wasn't easy coz I had to be the navigator, photographer, and videographer without falling asleep...lol!! We didn't rent a GPS but bought a broadband card that lasted for a week for RM55. So I only used google map (plus all the homework that I've done before the trip) to navigate our entire journey. 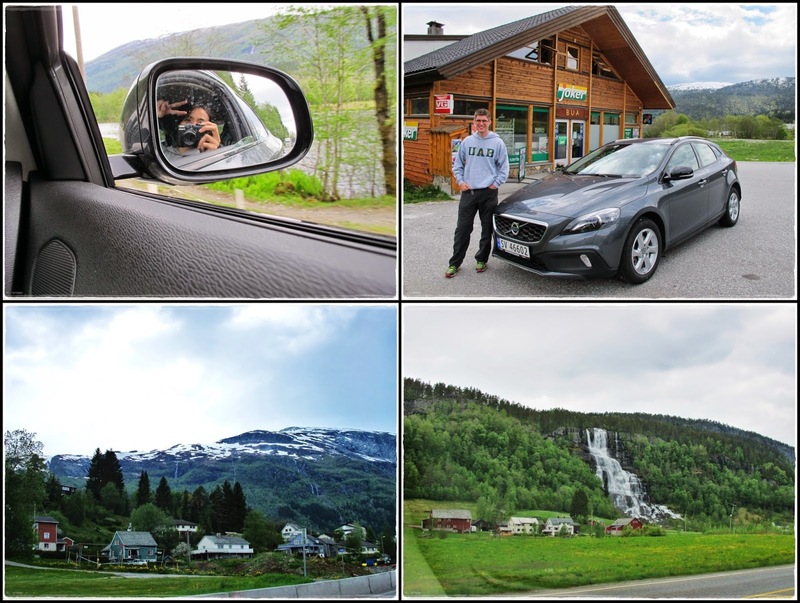 One of our first impressions of driving in Norway...so many tunnels!! 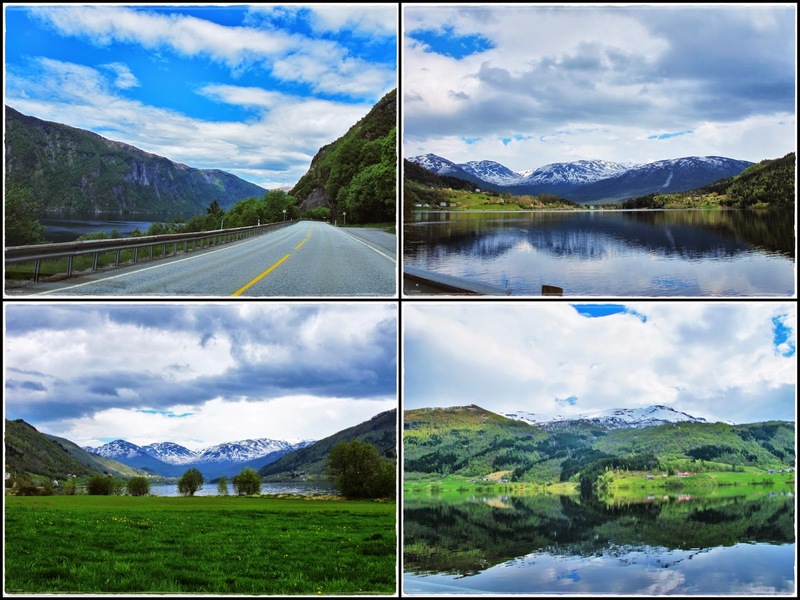 Blue skies, snow-capped mountains, serene lakes, empty highways...it's impossible to fall asleep with all these breathtaking scenery along the way!! 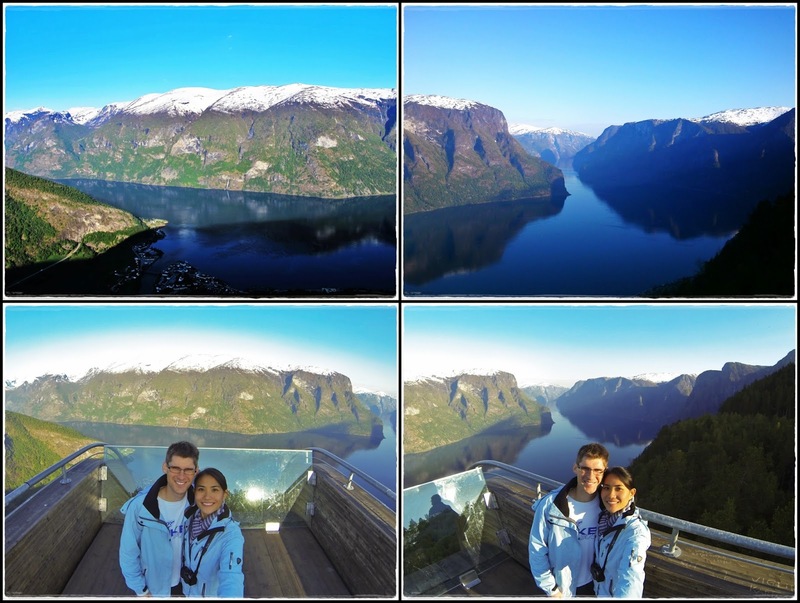 Entering Naeroyfjord and getting near to our destination...surrounded by steep mountains, thundering waterfalls and picturesque villages along the fjord. Finally arrived at our destination - Vang Camping after 3 hours. Such a pretty place!! 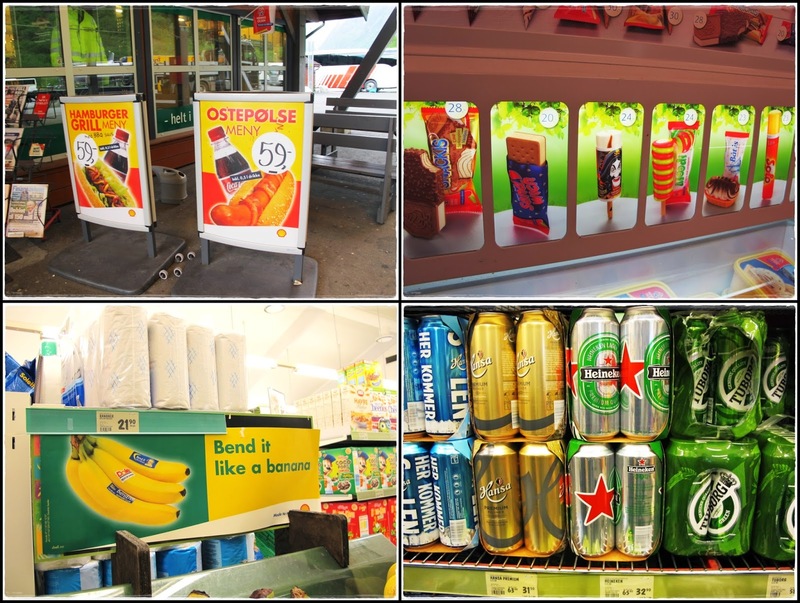 This is the 'real' Norway that I'm talking about! Nothing can beat nature's beauty!! 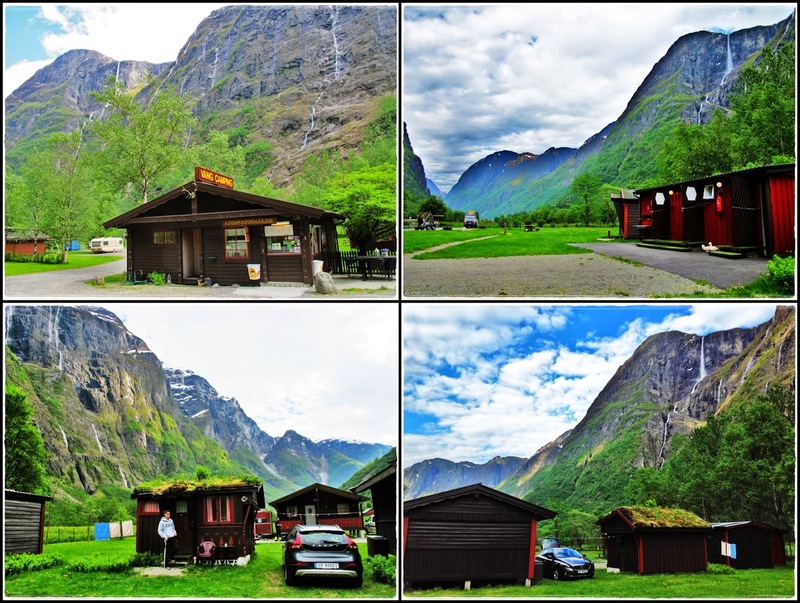 Most tourists (especially cruise ships) will make a stop in Flam but since we were driving, we had the flexibility to stay slightly further away from the harbor and railway station at this tranquil and beautiful campsite surrounded by waterfalls. The owner wasn't around when we arrived but we saw this cute little post-it at the reception window saying that cabin no. 12 was reserved for us...haha! Best of all, all the cabins had keys on the door so anyone could check-in anytime. Such a safe place and laid back lifestyle! 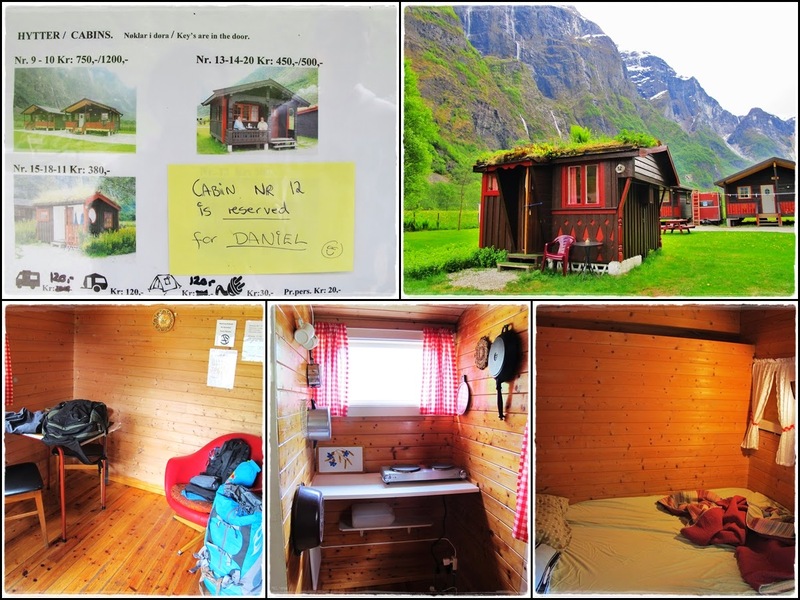 We booked the small cabin for NOK300/night (RM165) which was a lot cheaper than hotels and it's definitely value for money coz our small lil' cabin was equipped with a small kitchen, refrigerator, king bed and most importantly, a priceless scenery. =) Even though the bathroom facility was shared, we pretty much had the whole place for ourselves as we were the only ones there. One thing we learned about staying in cabins was to bring our own bed linens (i.e. pillow case, bed sheet, & duvet cover). We didn't have a duvet cover but hubby's blanket and my sleeping bag worked fine. Went to the Joker grocery store nearby to buy some food and saw this view right by it. Had pasta, salad and grapes for dinner. 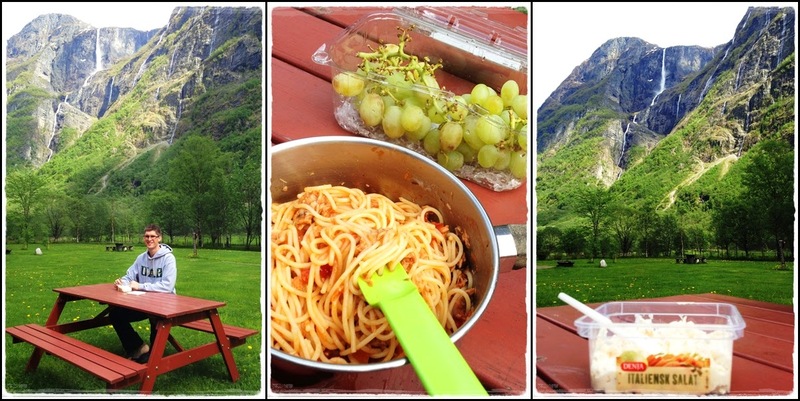 Simple dinner surrounded by waterfalls. We just chilled and relax for the rest of the day before another long day ahead. 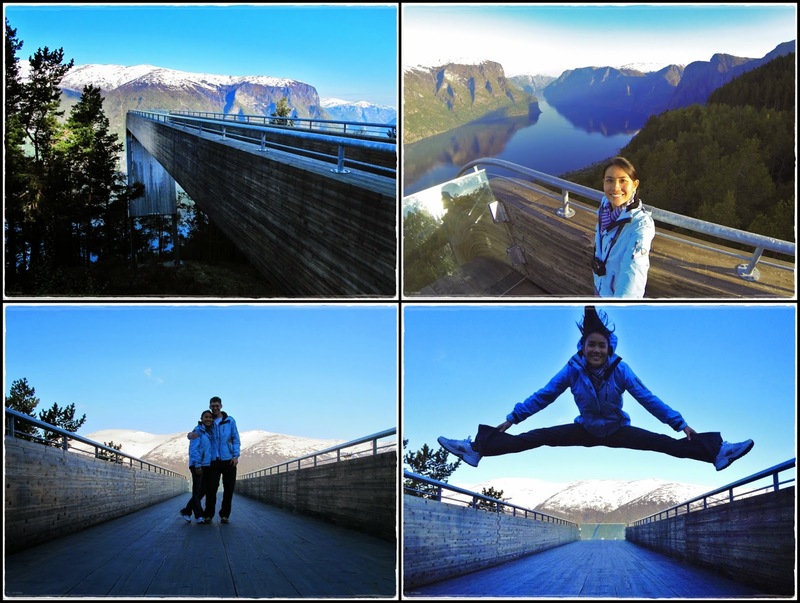 After a quick pit stop at Flam, we continued our journey towards Stegastein viewing platform along Aurlandsfjellet National Tourist Route. 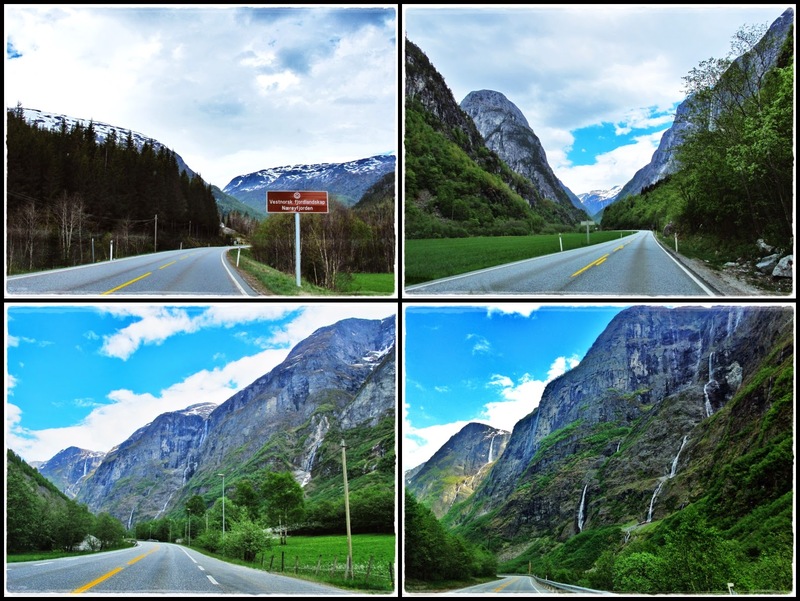 I was so busy taking pictures along the way that I didn't even realize the sign saying that the road from Aurland to Laerdal is closed. The road was winding, narrow and uphill all the way. Our timing was good coz it was still quite early (7am) so there weren't other cars around. I couldn't imagine how is it possible to drive through this road in the summer with all the tour buses crowding this small little town. Panoramic view from the transparent edge of the platform. Anyone fancy a slide into the fjord?